Q) Do you provide service & maintenance contracts? A) Yes, we provide service contracts tailored to customer needs & requirements. We also have monthly, bi-monthly, and annual maintenance contracts. Q) What areas do you cover? A) We service and install in New York City (all 5 boroughs), as well as, Nassau, Suffolk, Westchester and Orange Counties. Servicemen operate from their homes with a company vehicle. Our team lives within a half hour of any location. We will even go beyond our present area! Q) Do you do large piping replacement and repairs? A) Yes, Our steamfitters are certified welders for x-ray quality as one would expect for a nuclear power plant, high gas pressure, low gas pressure, and high pressure steam / hot water piping. Q) Can you handle BAR (Bureau of Air Resources) and/or Building Department Violations? A) Yes, we handle all aspects of engineering, filing and violation corrections. Just fax or email what you have and we will take care of the rest. WeÂll start by performing our inspection and send you a report & quote Â free of charge. Q) What equipment do you service? A) We service all 2, 4, 6 Oil and Natural Gas Burners. Q) What control systems are you most familiar with? 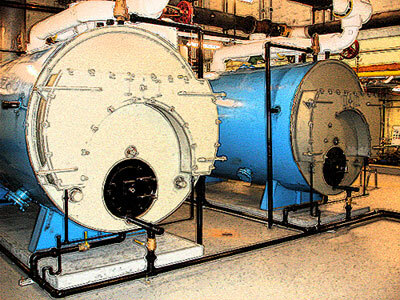 Q) What types of boilers do you work on? A) We work on all Boilers.